Available immediately - Bright main floor unit with 3 bedrooms upstairs available in a single detached house. Located near 75th Street and 83 Avenue has good access by bus or car. Approximately 1200sq ft. Main floor has good sized living room with den, eat in kitchen and large sized entrance hall. Upper level has 3 bedrooms (larger master with 2 smaller bedrooms), bathroom and laundry. All window coverings included. Back yard has a 2 tier deck for barbeques and entertaining. No garage but ample space to park 2 cars. Small pets may be considered. Non-smoking unit. 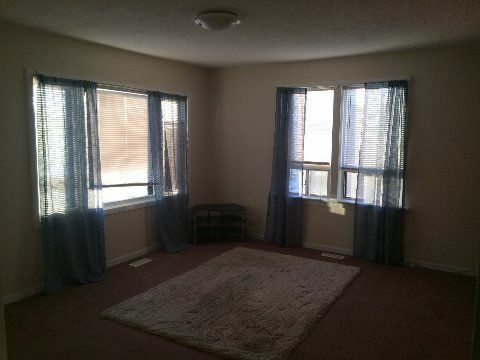 Utilities are shared with basement unit (2/3 paid by this unit). 1 year lease. $1100/month rent + $1100 damage deposit .